Make your own Multi-Cooker Chinese Sweet and Sour Pork right at home with very little effort. Tender chunks of Pork simmer away in a Sweet and Sour Sauce, using an Instant Pot GEM, Ninja or other Multi-Cooker. Make your own Multi-Cooker Chinese Sweet and Sour Pork right at home with very little effort. Tender chunks of Pork simmer away in a Sweet and Sour Sauce, using an Instant Pot GEM, Ninja or other Multi-Cooker. 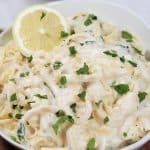 I’ve made this recipe using my stove top and then baked in the oven. So, when I got my new Instant Pot GEM 8-1 Multi-Cooker, I was anxious to give this recipe a go. I might have been a little to anxious, or maybe just tired, as I totally blew the recipe the first time out. We have an extra roaster oven, which we bought years ago, which we use for hosting large holiday meals. That 18 quart roaster worked well on the RV being used as an for baking, cooking and roasting multiple items at once, using the various racks. But for some reason with the Instant Pot GEM, I must have lost all sense of normal thinking. My first attempt at this dish wasn’t pretty and the sauce burned. Had I been in my right mind, I would have used the cooking rack and everything would have been great. But noooooooooooooooooooooooooo, I cooked it all in the inner pot (which is like cooking it on the stove), which would have been fine, had I been in the right mind. After a good nights sleep, everything made sense, once again and I am in super love with this unit. So, here we go once again. Second time, major success and yum! I used boneless Country Pork Ribs, cause that is what we had in the house!. Whatever part of the Pork Shoulder you want will work. 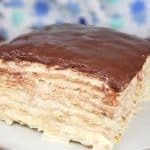 There is a lot of fat, so cut off as much as possible. 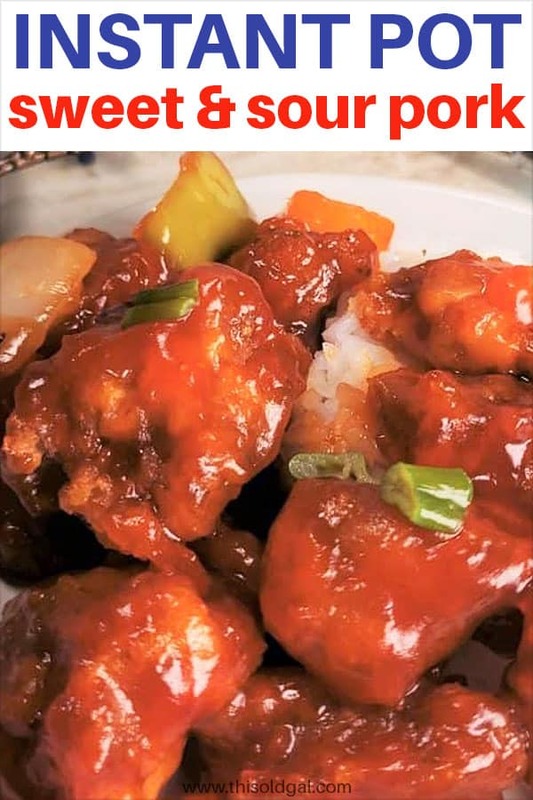 What are the Ingredients in Chinese Sweet and Sour Pork? Massage the dry seasonings into the Pork. 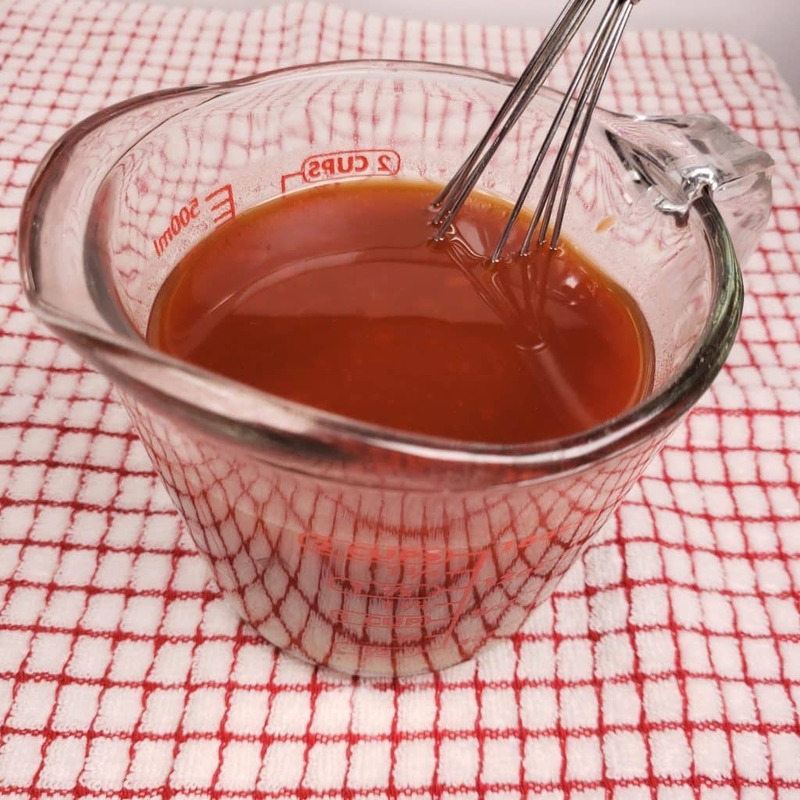 Sweet and Sour Sauce is easily customizable, as for a more Sour flavor add a bit more of the vinegar. If you like a very sweet flavor, add more Sugar. Grab that Whisk too if you can. It’s my fav and I use it 95% of the time when cooking. Make sure to get a nice and smooth Sauce. The minced garlic will be added into the Instant Pot GEM right before the Sauce and will add some nice flavor. If you have ever made my Pressure Cooker Chinese Take out Sweet ‘N Sour Chicken, you will notice that this is basically the same recipe, but with Pork. So, if you prefer Chicken, go for it. 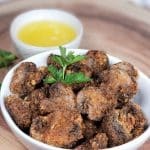 The Potato Starch is great for a first coating, so that the Pork is not thick with breading, but is breaded. Totally cover the Pork with the Starch. If you prefer a three station Breading Station, that would be ideal. It is what I usually do, but for purposes of writing up this post and limited room, this was easier for me to photograph. Mixing the eggs into the Pork, actually worked out really well and make things so much easier. Once the Instant Pot GEM 8-1 Multi-Cooker is hot, add the Oil. Peanut Oil is super yummy for this recipe. But, if you don’t have it, try Vegetable Oil or Grapeseed Oil. 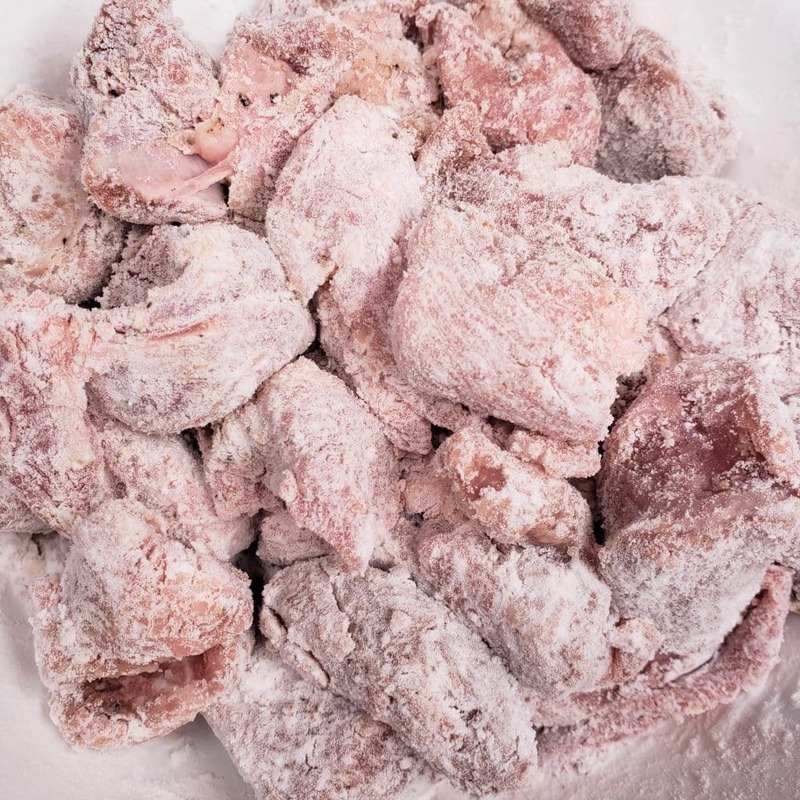 After you have dredged the Pork through the Flour mixture, add it to the hot oil. To get a nice coating which will stick, don’t touch the meat for at least 30 seconds. Let the Pork sit and fry. At this point, think of the Instant Pot GEM 8-1 Multi-Cooker or other Multi-Cooker as an electric stove top. The base acts as the burner/flame and the inner pot/cooking pot as a skillet/fry pan. My Multi-Cooker Chinese Sweet and Sour Pork recipe was made to be cooked in the Instant Pot GEM 8-1 Multi-Cooker. No extra dishes! When “baking” this recipe in the inner pot, you will need a very low heat. Again, this of this as stove top cooking and you just want the Sauce to Simmer. 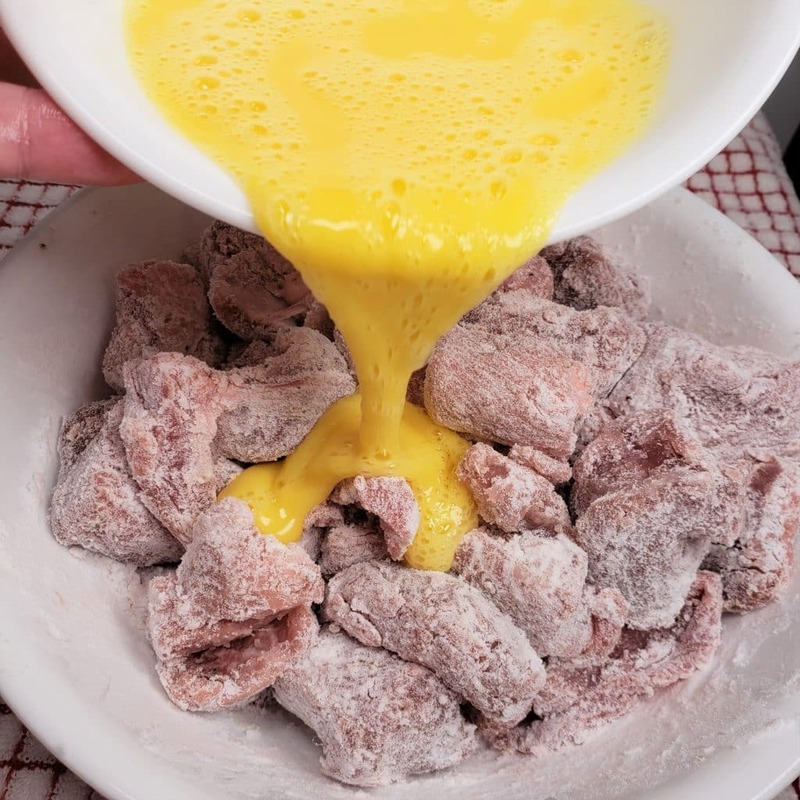 What are the Ingredients in Chinese Sweet and Sour Sauce? 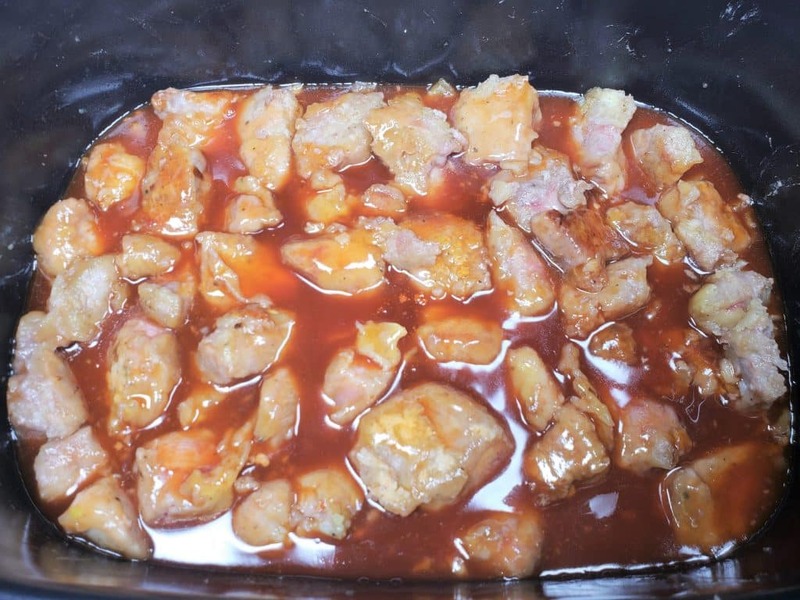 The top part of the Pork chunks won’t be immersed in the Sauce, which is fine, as it will crisp up more. 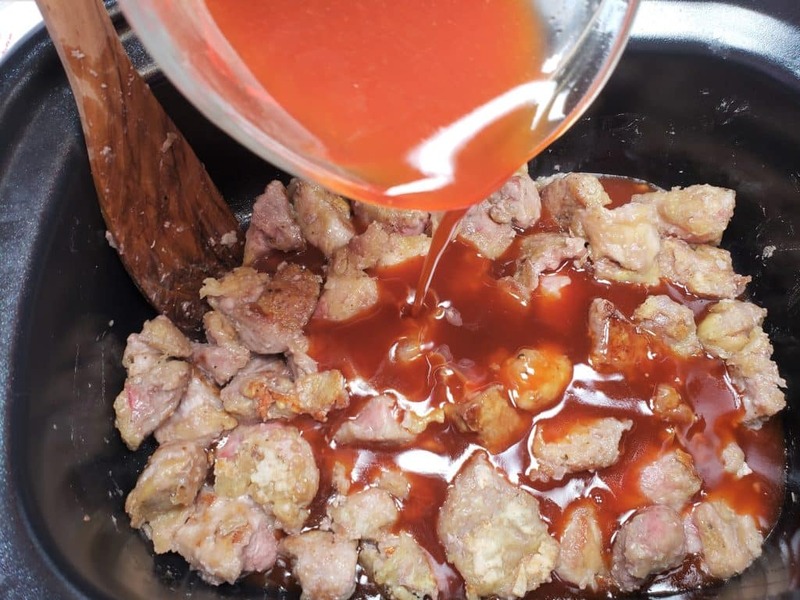 At this point, if you like, you can remove the Pork and place it in a casserole dish and then pour the Sauce over the Pork. Use the Instant Pot GEM or other brand Multi-Cooker as an oven and insert the Rack (included) and place the pan of Pork right on top. If you want to use a casserole dish, this Glass Cookware, Set of Three or Cooking and Storage Set.will work, as there isn’t a lip. 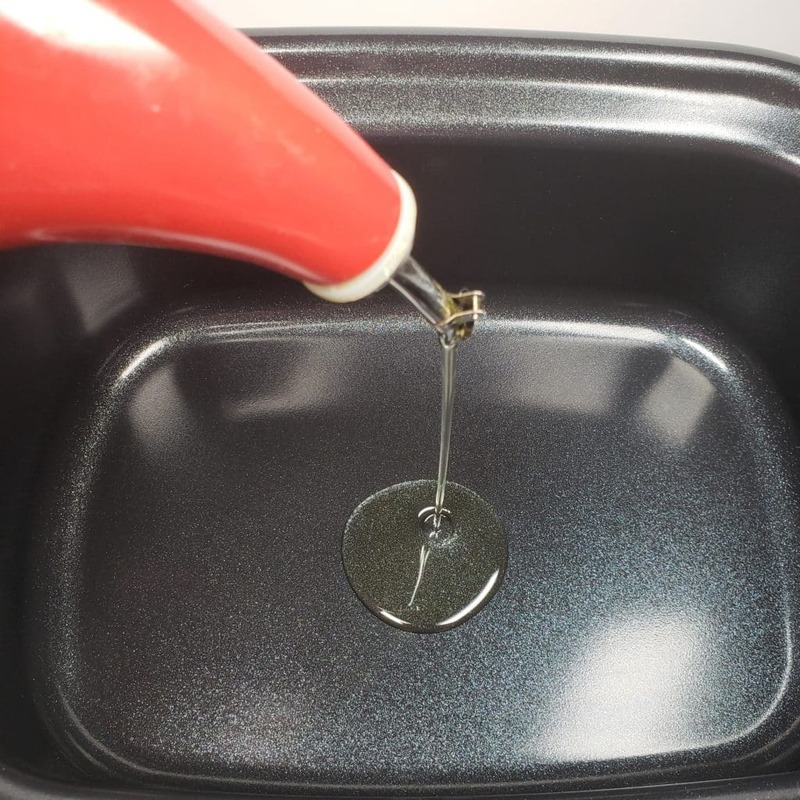 Alternatively, if you use a Trivet without handles instead of the included Rack, then you can use a full size Pyrex Oblong Baking Dish. The Stew Setting is best for Simmering and using the base of the inner pot as a stove top. 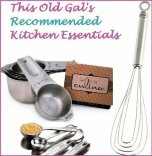 Things like my Tex-Mex Turkey or Beef Chili, Soup, Lasagna, all can be made right into the base. 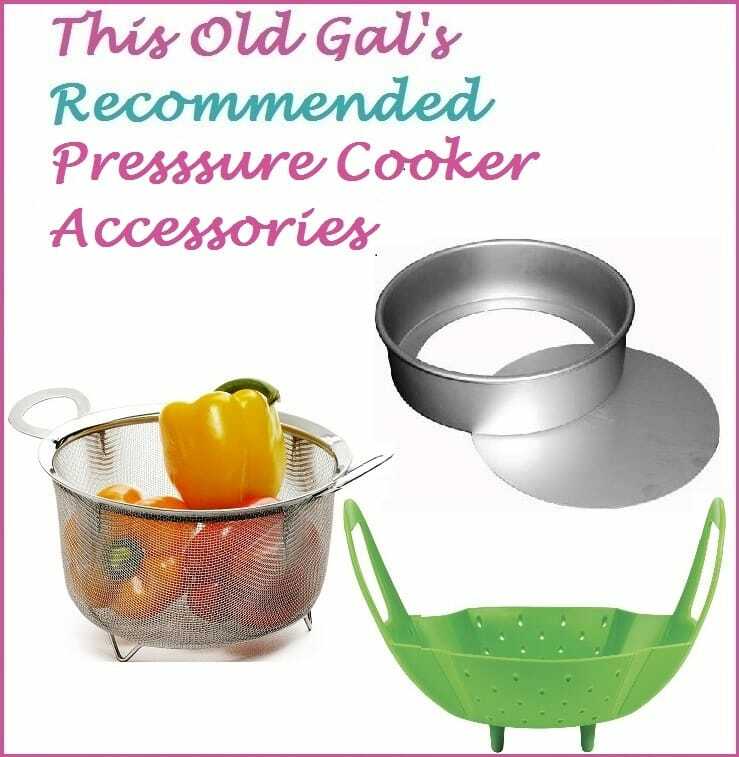 The GEM is perfect to cook my Matzo Balls in, while you are making the Chicken Soup in the Instant Pot or Pressure Cooker! 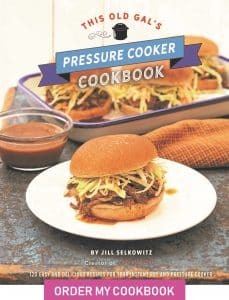 The Chicken Soup and Matzo Balls recipe are both in my new cookbook, This Old Gal’s Pressure Cooker Cookbook. 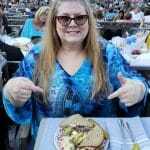 As I love cooking, the old fashion way, using my oven and stove top, I will be posting more recipes using the Instant Pot GEM. For those with an RV, I strongly recommend getting an Instant Pot GEM or other Multi-Cooker, if you prefer. Enjoy. 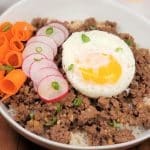 I hope you will let me know what you think of this recipe and how you are enjoying your Multi-Cooker, whatever brand you own. Select Sear/Sauté on Multi-Cooker and allow to heat while preparing the ingredients. 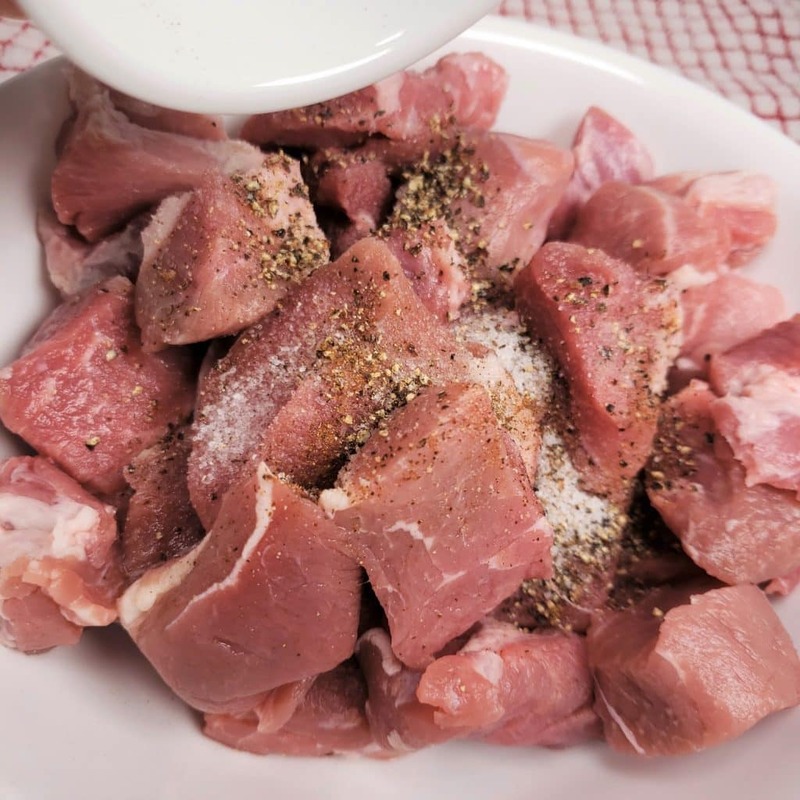 Cut Pork into chunks and place into medium mixing bowl. Add salt, pepper, Chinese Five Spice and Potato Starch and mix to coat. Beat Eggs and pour over Pork and coat. 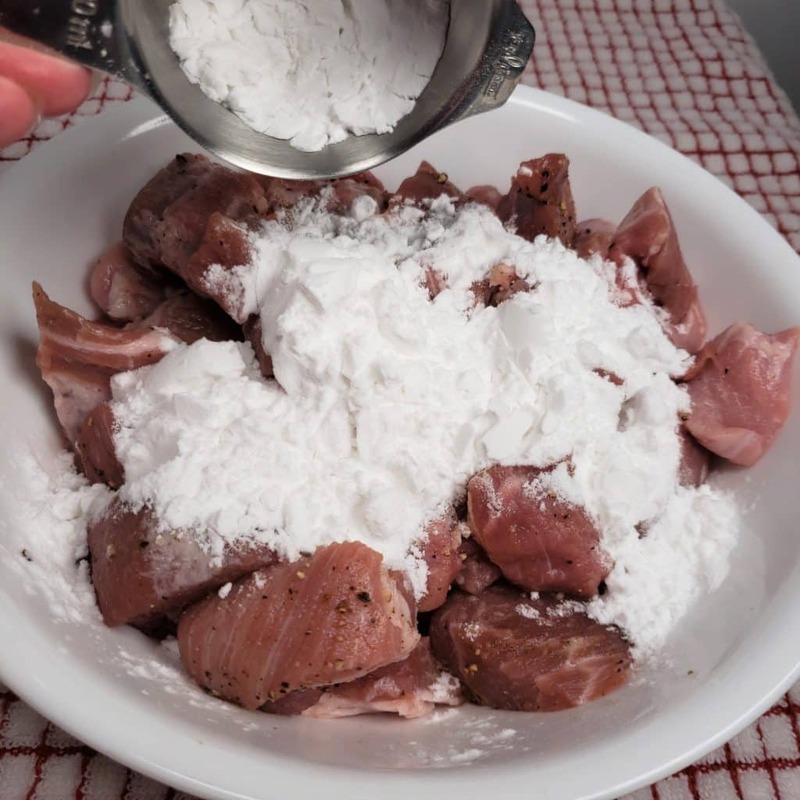 Place Flour in a large mixing Bowl, add Pork and coat well with Flour. Add Oil to cooking pot and carefully add Pork to cooking pot, first shaking off excess Flour. Let sit for 30 seconds and then turn to the next side. Brown Pork on all sides, letting it sit at each turn to develop a crust. Once all sides are browned, add the Garlic and Onions to the pot and mix through. 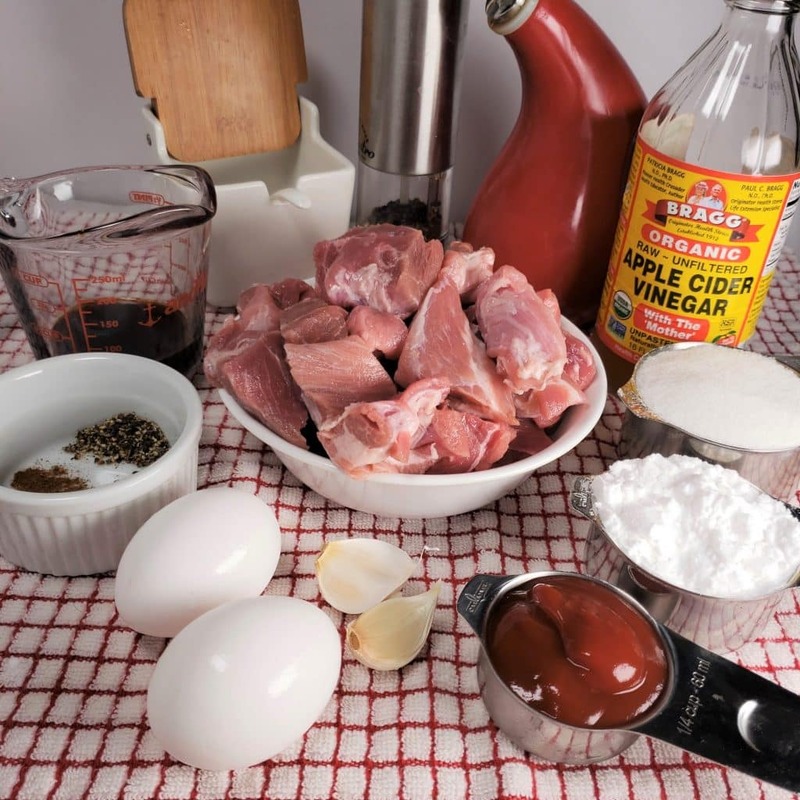 Whisk sauce ingredients together and pour over Pork. Select Cancel. Select Stew (195 F) and set time to 20 minutes. 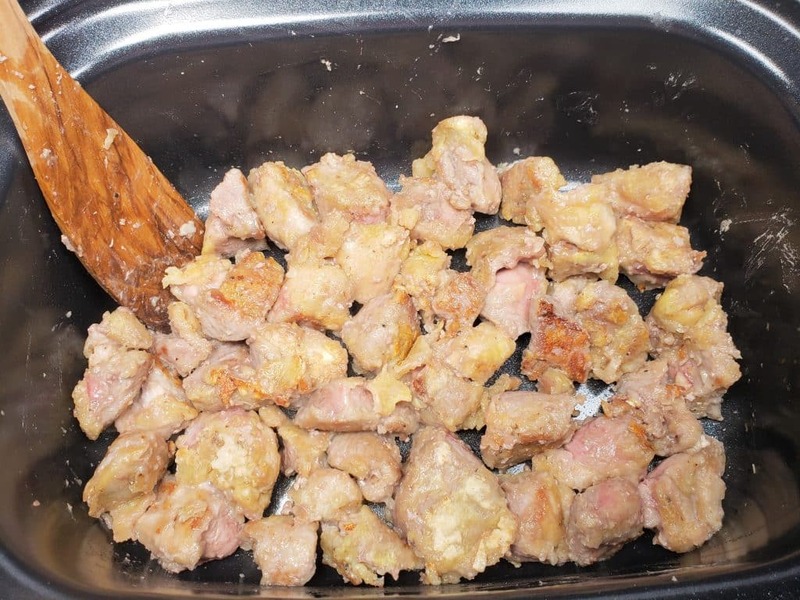 After 15 minutes, remove cover and mix Pork with Sauce. Add Peppers and Pineapple and continue cooking. 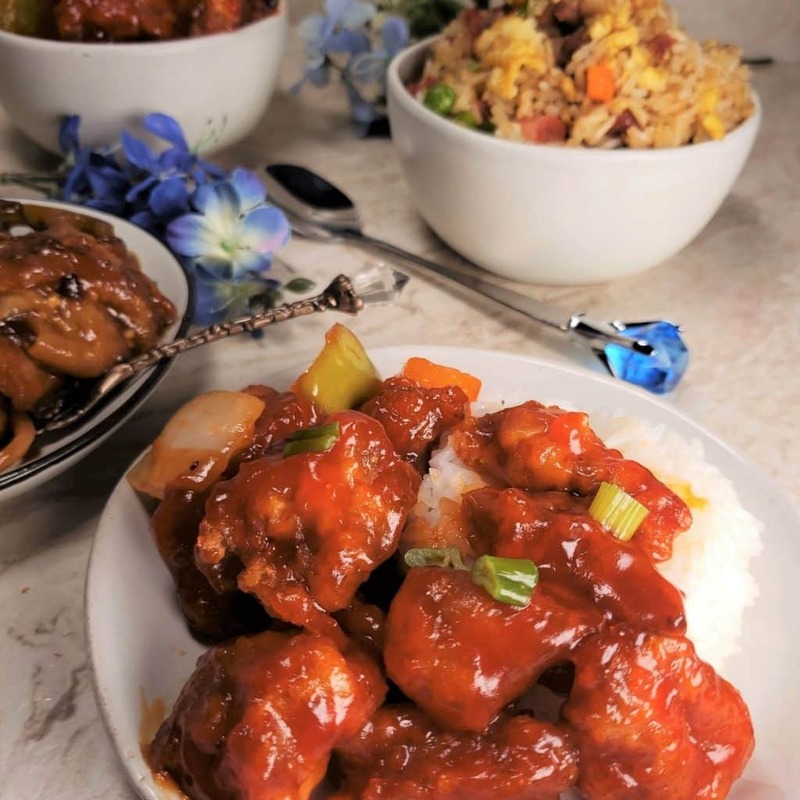 PIN this Instant Pot GEM Sweet and Sour Pork! I have an Instant Pot 8qt .My questions: what setting equates to the ”stew ”setting in your recipe?Also , it appears as if your GEM cooker is a different shape ..How will that affect the recipe ? unclear about using a ‘rack” is n’t the pork incorporated in the sauce while cooking? Today I made the Multi-Cooker Sweet and Sour Pork using my 8 quart IP Duo. I made one mistake, which was to attempt to pressurize for 20 minutes and I got a burn notice. I depressurized it right away, so it was fine, but next time should I use the stew/Meat button and cook with the lid off for 20 minutes or should I use the pressure button, cover and lock for 20 minutes on high pressure? It’s delicious and I want to finish it off in the best way. Thanks for your thoughts on this. I do not have a GEM. I adapted the recipe to my Instant Pot pressure cooker – cooked three minutes at high pressure and let it complete its natural release. It was fantastic – pork was so tender. Thank you, JR! I did the same (high-3 mins) and it came out perfect. I did put it on saute after the pressure release and then added in the pineapple and peppers for a few minutes. You saved me for most likely burning dinner!